Play your way in a world where mysticism and industry collide. Will you choose to play as Empress Emily Kaldwin or the royal protector, Corvo Attano? Will you make your way through the game unseen, make full use of its brutal combat system, or use a blend of both? How will you combine your character's unique set of powers, weapons and gadgets to eliminate your enemies? The story responds to your choices, leading to intriguing outcomes. Very frustrating when playing stealthily, which is how it's supposed to be played. Blasting your way through is more enjoyable but felt like a cheaper experience. 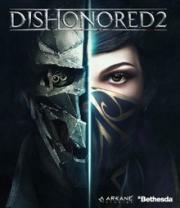 Personally being super interested in its sequel, Dishonored 2 gives you the choice of two different characters in a revenge plot to save the other, given their own powers and unique traits, and very fun and detailed mission areas filled of side quests to complete, to interesting side characters with their own agendas, and new enemy types, Arkane Studios takes all the right steps, and more, establishing this as the most impressive stealth franchise in years.